Anthem could be available on February 19. 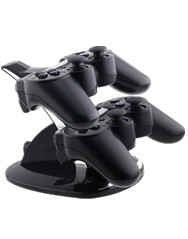 Hyperkin, the people that made the new Duke controller for One, could be behind a wireless wheel controller for One. Unravel 2 has been rated by ESRB. Sony could add PS3 titles to PS4. Microsoft could be working on three new games and a new Perfect Dark would be on works as well. Nintendo apply for N64 brand in Japan. N64 mini could be on the way.